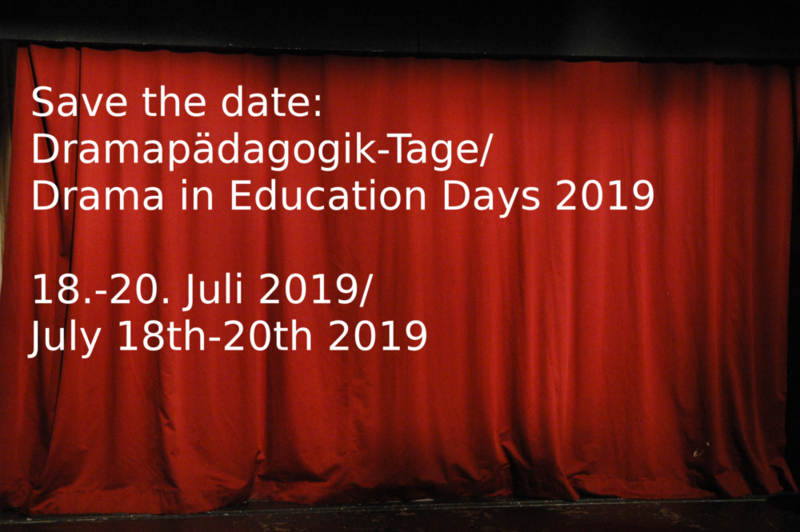 The third annual Drama in Education Days will be held at Konstanz University of Applied Sciences. The conference focuses on best practice and research in the field of Drama and Theater in Education (DiE/TiE) specifically in second and foreign language teaching. We welcome contributions from teachers, scholars, and performers working with drama and theater in language education at all levels (primary through to tertiary). The conference aims to provide a platform for the exchange of ideas and of teaching and research experiences. Registration for the conference closes on 20 June. Should you wish to register for the conference, a day ticket or a workshop after 20 June please contact Stefanie Giebert directly to see if this is still possible. Location: Konstanz University of Applied Sciences (HTWG), campus map and list of hotels in Konstanz. Organisers: This annual conference is organised by Dr. Stefanie Giebert (Konstanz University of Applied Sciences) und MA Eva Göksel (Center for Oral Communication, University of Teacher Education Zug, Switzerland). Note: In addition to best practice and research presentations, the conference will include keynote speeches, practical workshops and discussion forums. Call for papers: ETAS Journal Special Supplement on Drama and Theater in Education Spring Edition 2018.